Companies have facades instead of faces; logos instead of eyes. It’s easy to get lost in a labyrinth of products, services and impersonal business conditions. Like the Wizard of Oz, they appear lifeless and artificial. But behind the curtains everything is quite human. 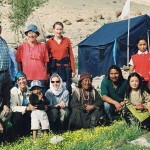 Let me tell you the story behind Gesar Travel. It all starts with two people: Daniela & Tashi. Once upon a time, a long, long time ago, there was a girl from Austria who had an idea for her research thesis. 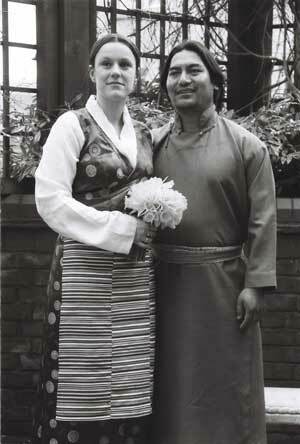 The girl was I, only 24 years old, then a student of Social and Cultural Anthropology at the University of Vienna. 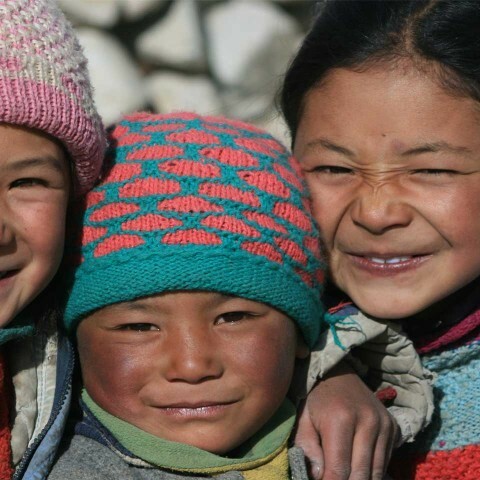 I intended to write a thesis about the young people of Ladakh. What did they think of marriage, what had changed compared to their parents’ generation? I wasn’t expecting then that the theme of love and marriage would occupy myself all of a sudden, and in such a personal manner. 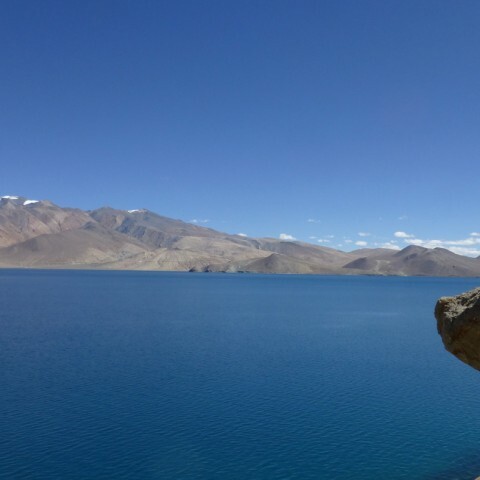 But already during my first flight, looking down into the barren alpine desert of Ladakh, where the inhabitable areas are scarce and hard to find, revealed just by a few green spots in the landscape, I was overcome with a strange feeling that this would be my second home. It was something that I couldn’t explain. Fate caused me to play Postwoman, since I had to deliver a package from Austria. The receiver was the man who was to change my life from scratch. He was not big, but good-looking. I liked Tashi from the first moment, but the alarm bells were ringing like crazy, because he was not only handsome, but also a guide. And just as ski instructors in Austria, many guides in Ladakh have a reputation as gigolos and heartbreakers. And I really didn’t want that. So I kept my distance, even though he was very charming and every smile melted my heart a little more. But the walls I had built began to crumble eventually, and under the rubble was love. Anyone who has ever been in a relationship knows that after the first major phase of falling in love, the real work begins. Tashi and I also had to face some obstacles. The largest for both of us was the different origins. Many situations that are usually not a problem for couples with the same cultural background, were in our case a source of tension and sometimes prompted fights and discussions. But this also came to pass, after we both agreed to adapt, make several compromises and increase our mutual tolerance limit. Afterwards, many years came in which I spent the summer months in Ladakh and Tashi discovered the magical beauty of the Austrian winter ;). Four years after our first meeting, the wedding took place. We didn’t want to rush. We got married in 2005, in England. The attempts to do it in Austria and India – two countries that excel at bureaucracy and have an uncontrollable tendency to demand documents that simply don’t exist in the other country – had failed miserably. 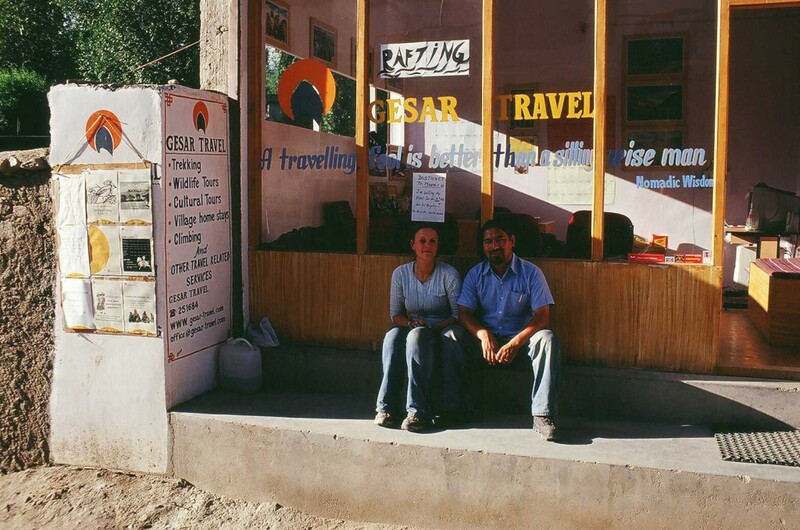 Already in 2004, Tashi had left his job as a tour guide and fulfilled his dream of owning a travel agency. 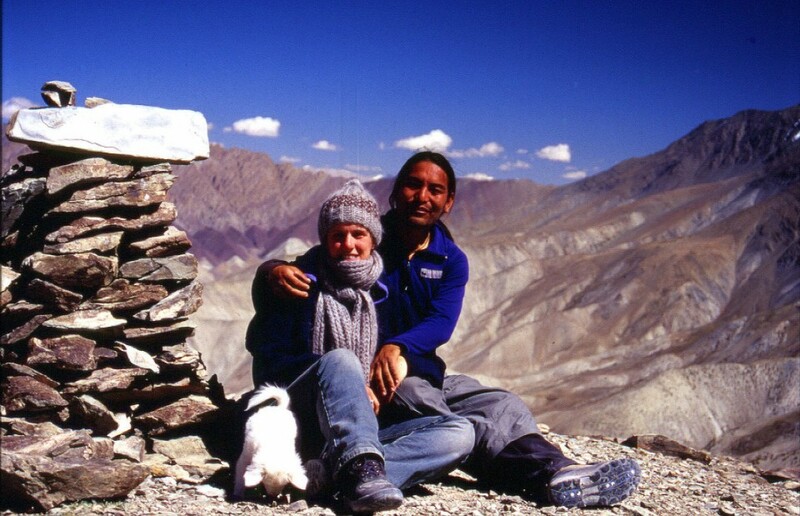 I helped him from the start, and also especially during the move to Ladakh in 2005. At the time I had basically no idea about the travel business. But thanks to Tashi’s years of experience in the field as a guide, and my basic knowledge in office management (thanks, Handelsakademie!) we were able to create a successful agency from scratch. Just as it is today, our close contact with our guests was a very important component in our enterprise. We are still in contact with some of our first clients J. The name Gesar reminds Tashi of his grandfather, who liked to tell and sing the great stories of the mythical hero Gesar. King Gesar is a common mythical figure throughout Central Asia and Mongolia. To this day, on cold winter evenings sitting around the fire drinking tee, many enjoy the retelling (mostly in the form of songs and poems) of his legendary adventures, rich in supernatural feats and fantastic creatures like giants, gods and demons. 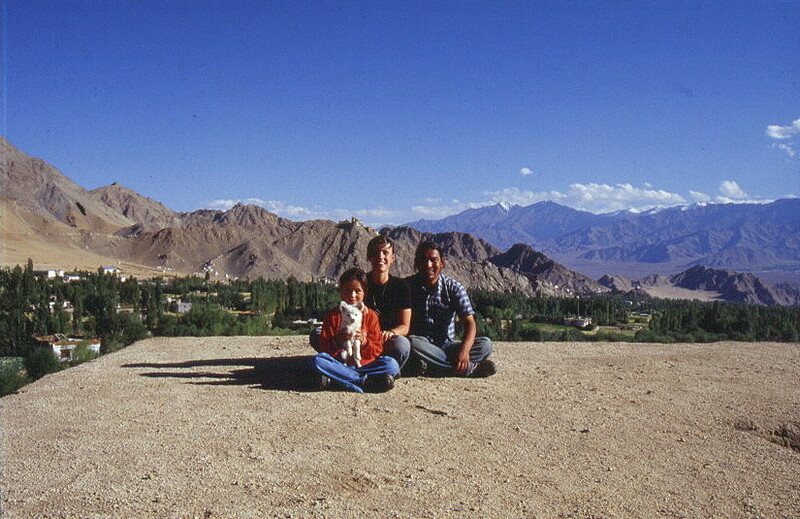 In 2007, our first son Elvis – Ladakhi name Konchok Gyaltsen – saw in Delhi the light of the day. 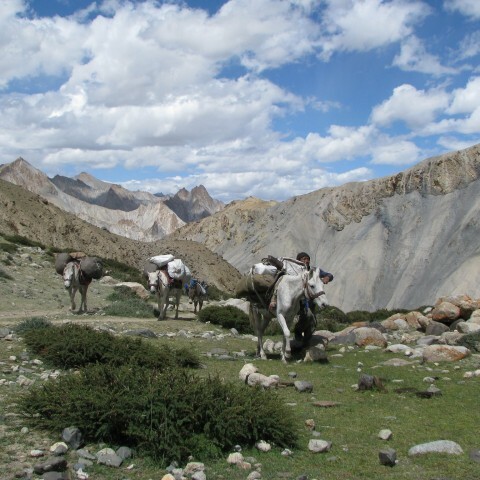 And as Tashi Junior grew and developed, so did my longing for home. After the 2007 season, I went back to Austria with Elvis, while Tashi shuttled back and forth. Then in 2011 our next son arrived: Luis Thayas, born with a small extra chromosome (Down syndrome). 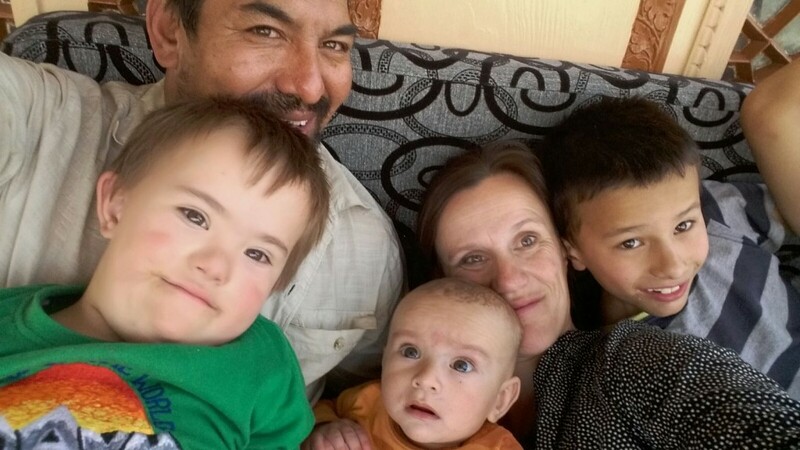 And finally, in 2015, Emil Khenrab, our youngest son, came to complete our Ladakhi-Austrian family. 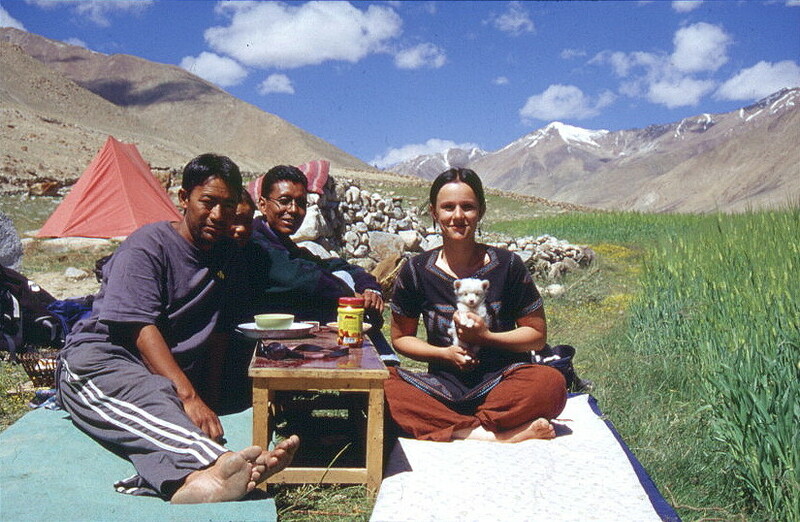 We still spend the summer months in Ladakh and, just as it was at the beginning, we take care of our guests personally during this season.